Access control systems with turnstiles, vehicle barriers, doors and security gates; time and attendance, punctuality and presence, catering control, biometric verification and identification; visitors, vehicles identification and control; production process control, RFId long range identification; plates vehicle recognition; cards, credential, thermal paper and labels printers; credentials, lanyards, badge holders; checks and identification documents scanners; supplies; data capture processing, centralization and control. 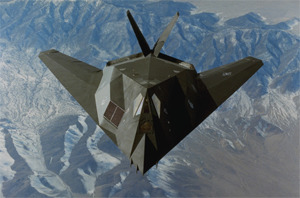 F117 Stealth Plane is a powerful machine, but inherently unstable, a human can not fly it, without the help of our creativity, a computer (Hardware), an operating system and software. We transform high-tech inventions, converting them in simple solutions, for You. Therefore we are in constant evolution, thinking and developing systems that will increase your company’s market compete position.